What’s the first thing that comes into your mind when you hear the word ‘librarian’? If your immediate thought was an older grey-haired lady with a propensity to say ‘shush’ very sternly, know that you need an introduction to the librarian of the 21st century! 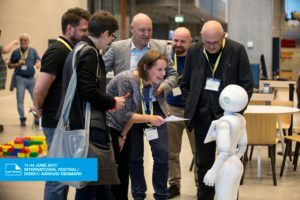 I was privileged to attend the NEXT LIBRARY® conference in Aarhus, Denmark, from 11-14 June, and to have the opportunity of meeting numerous forward-thinking, socially-conscious and open-minded librarians from around the globe. It was a thought-provoking and inspirational experience. 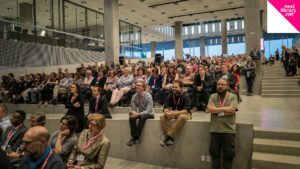 The event included inspiring keynote speakers, electrifying IGNITE talks, and thought-provoking participatory workshops and discussions. All were infused with energetic interjections to encourage creativity through deliberate practice. Moreover, the hosts generously introduced us to an abundance of Danish cuisine – fresh, fragrant and utterly delectable. 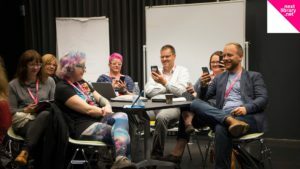 What I found fascinating was the discussion and debate around what role the library should play in this new digital age, especially when the ‘answers’ can be just a Google search away. Keynote speaker Peter MacLeod, Principal of MASS LBP in Toronto, challenged librarians to start to think about their libraries as custodians of democracy and spaces for citizen engagement and activism. He spoke about librarians as being ‘radicals with heart’. I certainly met many examples of this and heard about libraries stepping up to meet the needs of the communities that they serve in innovative ways – from the librarian at the Philadelphia Public Library who is saving the lives (quite literally) of drug users, to the Dokk1 library (where the conference was held) that stays open 24 hours a day, to the eLearning programme run by Jeff Bonile at public libraries in Johannesburg to help anyone become more employable. 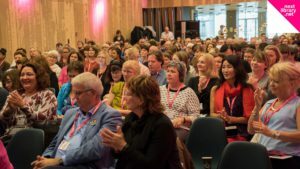 Building on this theme of radicalism, HRH Princess Laurentien of the Netherlands, who is the founder of the Reading and Writing Foundation, challenged participants to ask the ‘right’ questions that push libraries and librarians to be creative and to meet community needs in new ways. She led a plenary session where librarians from around the globe were able to ask questions and get input from participants. She encouraged us all to approach problems with our ‘unjudgmental child-minds’ in order to think differently and not censure potentially ground-breaking alternative approaches. 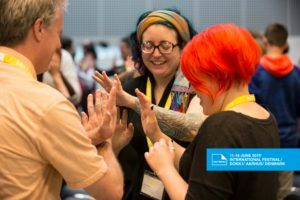 Thinking differently was certainly an underlying theme of the NEXT LIBRARY®, thanks to the ice-breakers, energisers and deliberate creativity exercises introduced by Dr Christian Byrge of Aalborg University. Throughout the day, Christian led us through a variety of exercises that not only introduced us to one another but which also helped throw out the cobwebs of tired practiced thinking and inspired us to start afresh. He showed us how asking provocative and crazy questions – such as what happens if there are no shelves in the library – can help us imagine new – and perhaps enlightening – ways of thinking and being. I loved hearing Phillip Schmidt, of MIT’s Media Lab give his talk on Paper planes, learning and libraries. Our FunDza team had listened to a video of a talk that he’d given at Online Educa Berlin, and it was inspiring to hear him in person. It was great to engage with the seven winners of EIFL scholarships to attend NEXT LIBRARY® who brought their very diverse experiences of libraries from different parts of the world – Croatia, St Lucia, South Africa, Kenya, Cameroon, Ghana and Macedonia. They all had interesting stories to tell of their innovative approaches to building a library relevant to the communities they serve. 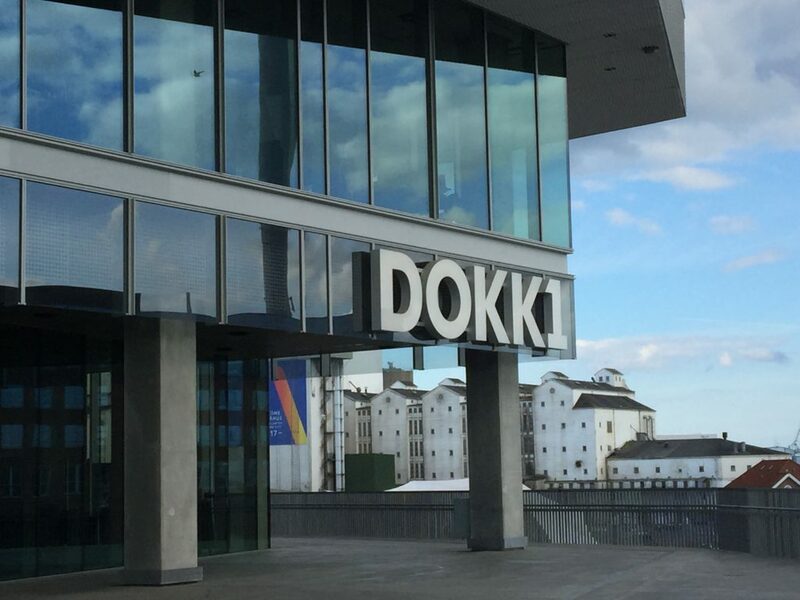 There were too many highlights to recount them all here, but it would be remiss to not mention the backdrop to the conference event – the incredible DOKK1 public library and culture centre. Situated on the former industrial harbour of the waterfront in Aarhus, the building offers amazing views of the city and the water. Voted the world’s best public library in 2016, it bears testament to the fact that libraries are integral spaces of and for the future. It houses the public library, municipal services and spaces for concerts/theatre or events. It is large but has numerous intimate spaces. 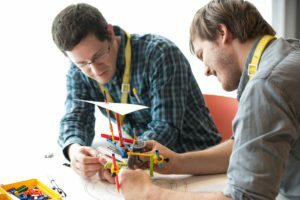 It embodies the ideas of openness, creativity and forward-thinking. What a privilege to spend time discovering the space. Big thanks go to Systematic, NEXT LIBRARY®, and the City of Aarhus for inviting me to participate. It was an awesome and inspirational week where my own preconceived ideas about the role of libraries were tossed unceremoniously out the window. It is my hope that we can see these ‘radical libraries with big hearts’ growing across South Africa, in order to nurture and nourish generations of engaged and democratically-minded knowledge-seekers, critical thinkers and creative problem-solvers.